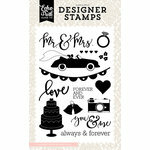 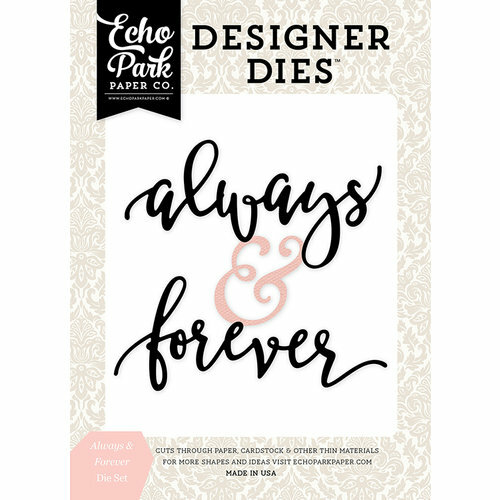 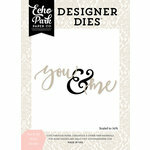 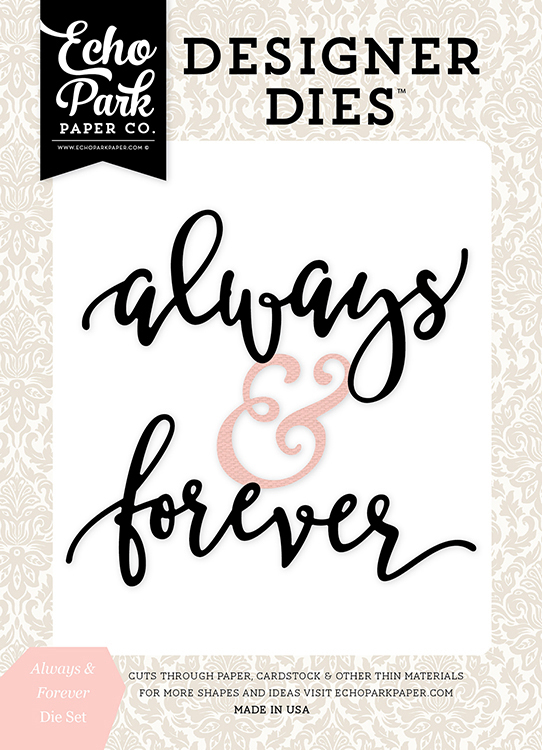 Create gorgeous one-of-a-kind wedding invitations for your special day with the Always and Forever Word Designer Die Set by Echo Park. 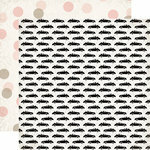 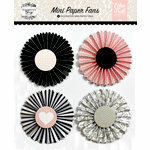 This set includes 3 thin metal dies that are made in the USA and measure from 1" x 1.5" to 3.75" x 1.5. 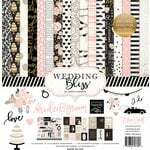 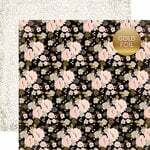 The dies will cut through cardstock, paper and other thin materials and are compatible with most die cutting machines sold separately. 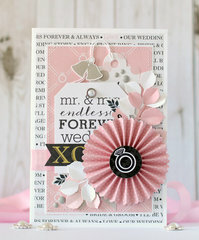 Perfect size for wedding cards.